We are very experienced home buyers/sellers, approaching the end of the home buying/selling chapter of our lives. Richard Noon should be considered a NATIONAL TREASURE, especially if he’s representing you. My wife Dana and I have recently purchased a new home in Trophy Club, and sold our existing home in Grapevine. For both of the homes we used Richard Noon and could not have been more satisfied! Richard is an outstanding communicator, who explains everything throughout the process to the point that there is no “stress.” He was always there to answer all of our questions with the utmost professionalism, knowledge, and courtesy. I’m not sure when we will be buying or selling in the future, but we do know one thing, we will be using Richard. He made us feel comfortable and was an absolute joy to work with. Richard is an ultimate professional and made our transition to Texas very enjoyable. My wife and I appreciated his deep knowledge and expertise of the Metroplex, his responsiveness, and his helpful insights regarding the different communities we were searching in. He’s also very easy going and personable, which made the house hunting a pleasure. We greatly appreciate the beautiful home and community he helped us settle into, and we would strongly recommend Richard to anyone looking to find a home anywhere in the DFW area. There isn’t a more caring and hard working realtor out there than Richard Noon. My wife and I have sold two homes with Richard and he recently helped us purchase our third home. Richard is an excellent realtor because he will do absolutely anything he can to help you and your family. He will work non stop to find you the right home and has always been there to meet with us about houses we were interested in. 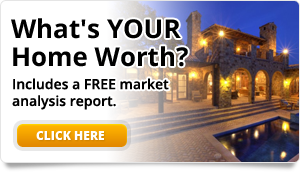 Richard understands what it takes to buy a home in this market and will help you sell your house for top dollar. As long as Richard is in the business my wife and I will never use another realtor. Richard made our home search and purchase a breeze. He knew the area and helped us make the right decision for years to come. We highly recommend Richard Noon! How do you improve on an offer at asking price within 24-hours of pre-listing that went on to close without a wrinkle? But, the rest of the story is, it might have gone differently but for Richard Noon’s calm in the face of challenges and cool guidance of processes that might otherwise have gone sideways. We met Richard when he showed us a home he had listed for sale, we were interested in buying. We were so impressed with his professionalism, efficiency and attention to our specific needs and priorities in providing service we adjusted our own plans to list our home with another agent and hired Richard. He worked as a true partner, was deferential to our particular challenges in getting ready to list and offered excellent, businesslike, logical, data-based guidance on listing price and staging. He is incredibly responsive, and always follows up quickly. We had a lot of repairs, cosmetic adjustments and cleaning, and clutter to get out of the way and Richard still provided incredible speed to market once we engaged him. His skills in providing wide-angle and 360 degree images of our home for the listing is the best, most effective we’ve ever seen. His network of associates is what ultimately sold our house, and he has a long list of professionals in finance, home services and repair and remodeling who are as professional as he. This gentleman stands apart from the typical agent these days–he’s hard-working, flexible, always available, does his homework, plays it smart and is a true pro in his field. We never questioned seeing Richard get his fee because he earned every penny and produced excellent results. Richard was an excellent resource and the perfect realtor for us. We had less than a month to find a place and Richard made sure to set aside his Saturday’s to show us plenty of houses and opened our eyes to new areas we hadn’t even thought about. Richard’s knowledge of the DFW area was great and he was able to really educate us to the schools and neighborhoods. Once we found the perfect place and closed on our new house, Richard was able to give us a number of recommendations for making the new house our own. We will continue to use Richard in the future and will definitely recommend him to all our family and friends. Wow! While I suspected Richard to be capable (which is why I listed my home with him) how he handled the entire process turned out to be an exceedingly impressive and pleasant experience. His handling of the showings, negotiation and the sale — especially the negotiation — far surpassed what I expected. I received almost daily communication from him on where we were in all phases of the process, and he seemed to anticipate every question I had with advanced notice of the next step. What I was most impressed with, though, was the surprise he had for me when he called to say we had a deal: he secured a sale price several thousand dollars above what I had expected to receive. And when many realtors might have moved on to their next deal following that, Richard continued to keep me apprised of all phases of the closing process with the same regularity — even with what was going on between the buyer and appraiser, inspector and title company. His unflappable and easy nature, his knowledge, his work ethic and his skill make him well-suited for this business and a true asset to the client for whom he represents. When my neighbor sold her home in short time, I asked who her Agent was. It’s was Richard. She couldn’t have been more effusive. I was happy for the referral when I needed to move.During the initial consultation, Richard impressed me with his honesty, caring and knowledge of the neighborhood marketplace. Richard stayed in touch with updates and progress after listing. I really felt I had a partner. I am grateful for Richards service throughout the process of selling my former home. I recommend him highly. Richard was an invaluable resource in the purchase of our new home. He had great local knowledge and recommendations. He was very responsive even during non-business hours. He went the extra mile as the home we bought was a FSBO so he had to do a lot of the work the seller’s realtor normally would have done. Overall, we were very satisfied with Richard, would highly recommend him and will use him again! We recently relocated our family to the area and Richard Noon worked hard to make sure our home-buying experience and the overall transition was amazingly smooth. I can’t imagine having a realtor who works harder for his clients. We were able to fully trust him in every phase of the move, from getting his input on potential areas and properties to negotiations to even following through with some issues that arose after the sale, he did not once let us down or keep us waiting. We were amazed by his expertise and thrilled with his tenacity in making sure we were cared for and that other parties followed through with their part of the transaction. I would (and will be) recommending him to anyone and every one I know needing a realtor. My husband and I were first-time home buyers and had a lot questions throughout the process. We looked at a lot of homes in a very challenging market with a lot of buyers, but not a lot of houses to choose from. The second a house came on the market that we wanted to see, we would call Richard and we would head right over to see it. He always had time for us and answered all our questions promptly. Often, we would call, text, or e-mail with a question and we always got a response very quickly. He was very quick and thorough with preparing our offers and handling contact with seller’s agents. In the end, we got the best house we came across and couldn’t been happier. Many thanks to Richard for all the help! I have bought and sold several homes. Richard Noon was by far the best realtor I have had. From start to finish he really looked out for my best interests. Would highly recommend him !!!! Richard dropped what he was doing to help us see some places when we were ready to start looking. Good thing he did, because we put an offer down and won a bid. Great experience overall! Very Easy & Pleasant Buying Experience! Richard was a pleasure to work with. A dear friend recommended him and we are so glad we found him. My husband and I were living in Pennsylvania while we were househunting and we had a very short timeframe to work with to find a house. We spoke with him on the phone and told him what our ideal home would have and he made sure all of the houses that he sent to us had those things. Once we found a house we loved (and we knew for sure we were moving to Dallas), Richard was incredibly accommodating. He did a video chat tour of the house we loved in the photos and gave us his honest opinion about the house and the location. We never felt like we were being ‘sold’ – we actually chose Richard over another realtor because of we felt like we were being sold with the other realtor. After the video chat, I arranged to visit Dallas a few days later and Richard arranged to meet me last minute so I could see it in person. We ended up only viewing one house because Richard’s searches provided everything we wanted so we didn’t need to do a lot of searching to find something we loved. We just arrived in Dallas to our new home and we love it. Richard made our first buying experience very easy and pleasant! We would recommend him to anyone looking for a realtor. My wife and I were first time sellers and we wanted to go with someone who had experience in selling a home in a short window of time. Richard went above and beyond our expectations and really walked us through the process every step of the way. In today’s market, having a realtor who can price a home correctly and manage expectations, is a true gift to a future home seller or buyer. Richard did a fantastic job! We were new to Dallas and Richard helped us through the buying process as well as answering questions after we moved into our home. We were very appreciative for Richard’s expertise and responsiveness throughout the buying process for my wife and I as first time home buyers. We are so pleased with Richards attention to detail and professionalism during our home buying process. I highly recommend Richard and we look forward to working with him in the future! Richard Noon is an outstanding, professional realtor and a very genuine person to work with on any basis. Richard represented us in the selling of a 8,000+ square foot home in Southlake. We felt that his preparation, market analysis and strategic advice regarding our listing addressed our selling objectives effectively. And, like most real estate transactions, there was a need for both general update communications and urgent contact with Richard along the way. He was always available and prepared to discuss matters in a timely manner and at all hours of the day or night. We truly felt that we had his personal attention and he had our personal interests at heart throughout the process. His very practical yet savvy in seller / buyer negotiations and delivers his thoughts in a very level headed manner, even when the “buyer generated” circumstances were very frustrating to us. In the end, he helped us obtain a price that was the highest per square foot value in the entire neighborhood. We could not be happier with how he helped us through this successful process. Further, we also purchased a new home with his representation with an excellent negotiated price result. Richard’s exceptional efforts facilitated our meeting all of our home sale and purchase objectives. If you are looking for realtor representation, you have to talk to Richard Noon….. if you want the best. Richard helped us sell our existing home and purchase a new home. He displayed his insightfulness from the moment we approached him to sell our house, providing advise and guidance to get the most out of our home. He was eager to have open houses and was respectful in setting appointments for our home to be shown. It was only a short time before our home was under contract, and Richard again showed his expertise in presenting homes that fit the parameters we set. We did not waste a trip to any houses that would not have worked for us. In a fast moving neighborhood it was Richard and his vast network of colleagues that enabled us to see homes as soon as they hit the market. We found a home that fit our needs, without compromise, within our budget. Richard helped me and my family find a home – that says it all. He sold our house in less than 7 days! My wife and I decided to go with Richard because of his tremendous track record, his experience, and overall deep knowledge of the area. Richard made the entire selling experience of our house a breeze. He is very attentive, professional and courteous. He really knows his stuff. The pictures he took of our house and truly interactive tour of our house were incredible. He came to our house on several occasions to help us through the process and answered calls and texts within a matter of minutes, if not immediately. He sold our house in less than 7 days! My wife and I are really happy with the entire process and highly recommend Richard. Richard made a significant impact on our home buying process. My wife and I truly appreciated his coaching and knowledge about the area, remodeling, new construction and different builders. We are incredibly happy in our new home and owe a great deal of gratitude to Richard in helping us make the right decision. I would certainly recommend Richard, and have, to anyone considering selling and/or moving. You won’t go wrong with this very capable and professional real estate advisor. We chose Richard to be our realtor for both selling and buying our homes. We knew Richard from our church community and we had confidence in knowing and reading about his work that he would be a perfect fit for us and our experience. Richard helped set us up in the beginning to be in the best financial situation to sell and buy by referring us to some financial advisors and lenders that could navigate us to make the best decisions for our family. Richard is not just invested in the sale of a home, but in the people he is working with to make sure the experience is good and right for you. From the beginning of our experience, Richard met with us to understand our goals, wants, and needs. He was always detailed and thorough in explaining each process and step. He is excellent with communicating during the waiting periods and the fast paced periods of selling and buying a home. He was always available when we needed him. Richard provided us tremendous support, guidance, and assurance that made our personal experience really enjoyable. We are so thankful for all of Richard’s expertise, wisdom, and kindness! Richard has great knowledge of the area in which I was looking for a home. Buying a home can be a very daunting process and Richard not only provided guidance but also confidence. Even with very specific requirements Richard was able to find many options. I highly recommend Richard and will definitly work with him again in the future. Richard represented the interests of both the seller and my wife and I as the buyer in a very professional and impressive manner. There was such an open communication line between the three-party negotiation, and we were very grateful for that. Richard also went far beyond the call of a buyers agent. He routinely followed up with us, called to provide updates, and even checked in on us when he was home in England visiting his family. We were fortunate to find Richard. We moved from Rockwall and were very fortunate to list, sell, close, buy, and close again all in 43 days! A large part of the credit goes to Richard for his remarkable ease of spirit and compassionate regard he has for his cients. My wife is pregnant, my son had to move from the only home he ever knew, and we wanted to settle in before he had to start a new school….Richard helped that to become a reality. My son finished the school year in Rockwall, we moved on Aug 3, 2012, and he had 24 days to settle into the new home and meet some friends. I am very grateful to Richard for his kindness and patience, as the whole process was indeed a strain, as we had to move so quickly. Richard, we hope to remain friends and will gladly continue to network for you. It’s been more than 6 months since my husband and I purchased our first home, but we still in touch with Richard! He has been more than a realtor, rather a source of knowledge for us. There are a lot of things we could have missed in our home search but Richard made sure to point out the good and bad what to look for and what to avoid. He knew exactly what we were looking for and was on point with the home we purchased! I have recommended many people to Richard and will continue to do so because he is so GREAT!!! Richard, we want to thank you for your wonderful service in helping us in acquiring the perfect house for our needs. Your help with the financing and getting through all of the inspections was more than I have received from any other agent. Richard was such a phenomenal realtor with which to work! He exhibits a paradoxical mix of personal humility and professional will. He is ambitious and driven, infected with an incurable need to deliver results! Along with helping us stage our house to resemble a model home, he gave us pointers and tips along the way that would help sell our house quickly and at top dollar. Needless to say, 48 hours after listing our home with Richard Noon we sold our house at full asking! I am confident that because of God’s great providence to bring Richard into our lives, we were able to sell our house quickly, painlessly and at full asking in near record timing! Thanks to Richard for such a wonderful experience with the absolutely perfect sale of our home. We were nervous about buying our first home, unsure if we could make the leap from renting to owning. But, thanks to Richard’s experience, patience and expertise he helped us through the process and now we are finally living the American Dream!!. Richard Noon was able to sell my house in 40 days after other realtor’s had tried and had not been successful. His knowledge of the market, his expertise in tips for selling a house and his communication skills were amazing. He made everything so easy to understand which was important to me as a new widow trying to do this on my own. His level of commitment to his job is obvious as he goes above and beyond anything I had every experienced in my past. I would highly recommend Richard if you are wanting the best! I had the pleasure of working with Richard earlier this year in a search for my first home. Richard displayed a great deal of patience as we looked at house after house in search of my “perfect” home and provided excellent detail on comparable sales in the neighborhoods I was interested in. Once I found the house and reached an agreement with the seller, Richard was extremely helpful in keeping me abreast of everything that was happening related to the transaction. His experience in the industry was also a great benefit to me in the process of making the offer, counteroffer and settling on a price. I hope that circumstances allow me to use Richard to buy a larger home in the not too distant future. Richard Noon is an extremely motivated and ambitious realtor. He handled the recent purchase of our new home as though it were his own. He was extremely realistic and honest with us about the property’s value, and yet very aggressive in trying to get us the best deal he could. Richard helped us place a bid that saved us several thousand dollars. What I appreciated the most was his availability. I knew that if I left a message on his phone, he’d get back with me as quickly as possible, day or night. I’ve had the opportunity to work with other realtors and our experience with Richard was exceptional. He handled every detail and no question went unanswered. We always felt like he was working just for us. He’ll be our first choice if we ever have to purchase or sell a home again. We enlisted the help of Richard Noon to sell our town house after several neighbors had put identical homes up for sale. Richard provided us with insight on proper presentation for showings and used his marketing skills to facilitate more interest and traffic than the other sellers in the neighborhood. With Richard’s diligence, we were able to sell our town home in a difficult real estate environment despite having the highest asking price in the neighborhood. After the sale of our town home, Richard was thorough and patient in our search to find a stable community to raise our family. We would highly recommend Richard for any type of real estate transaction, and we plan to rely on his experience in the future. Richard came recommended to my wife and I and it was a pleasure to work with him on the sale and purchase of our home. The man understands the home buying and selling business. Then time he spent with us to make sure that he understood what we wanted was second to none. I have worked with other realtors in the past, but none as diligent and thorough as Richard. When questions were asked Richard had the answer and made us feel at ease. His knowledge from start to finish allowed this process to fun and educational. The bottom line is Richard got the job done with class and integrity.